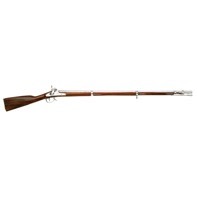 American Civil War reenactors and history enthusiasts can own accurate, faithful reproductions of some of the most famous arms used in conflict between the Union and Confederacy. Chiappa Firearms pays close attention to historical details such as barrel bands, ramrods and sights. Complete with hand oiled walnut stocks.